Girish Agarwal, 45, has been trying to sell his house since February. He had bought the property five years ago thinking real estate prices would continue to rise at a fast pace. After struggling to find a buyer, he recently reduced the asking price. Still, there are no takers. “Brokers say the sale may take some time as the market is going through a slowdown,” he says. This is not the only issue he is grappling with. He is still to get the possession letter from the builder as the project has not got environmental clearances yet. The scenario was not so bleak when Girish had bought the property in 2010. Prices then were rising at a fast clip, making real estate one of the most sought-after investments. Things would not have been so difficult if he had not taken a loan to buy this property. APPROVAL AND LICENCES: Once you zero in on the property, check the builder’s paperwork ranging from commencement certificate for work, environmental clearance and approved building plans. Also ask for the status of the land title and see if the builder has bought the land or has just development rights for it. Here is a list of documents you should check. (a). Title Deed:Check whether the builder has a right over the prope rty. While buying a plot, see the title deed of the land to confirm if the builder has the full right to it. You can also take help from a lawyer to get the deed examined. Divakar Vijayasarathy, Co-founder, MeetUrPro.com, says, “A mere NOC (no-objection certificate) from the panchayat or the local body does not constitute approval by the authority.” (b). Release Certificate: If you are buying a property in resale, remember that it may have been pledged to get a bank loan. In such a case, you will have to get a release certificate from the bank, which will prove that the loan on the land has been repaid. Check Encumbrance Certificate: It is also important to verify that the land is free from all legal dues. (c). Verify land use: Verify the land-use zone as per the city master plan for the plot. You can get the plan from the local body office in your respective city.(d). Approvals by Local Body: Make sure that the entire layout has been approved by the development corporation and the local body of the city. (e). Property Tax Receipts: If you are buying a property in resale, ask for previous property tax receipts from the seller along with other bills. This way you can ensure there are no pending bills. LIST OF BANKS FINANCING THE PROJECT: With real estate companies sitting on unsold inventory and not having enough cash to complete their projects, banks have become vary of financing them. There are many builders which do not get bank loans at all. So, once you finalise the property and confirm that all approvals are in place, find out banks which are ready to fund the project and go with the one offering you loan at the lowest rate. CALCULATE THE TOTAL COST: Do not go by what the broker tells you. Many times brokers just mention the basic cost and not other factors such as internal/external development fees, preferential location charges, parking/club/statutory charges, and service tax, which escalate the total cost. Ask for the final cost of the property. ERIFY THE BUILDER: The piece of land in question may be under litigation. Hence, it is recommended that you do an extensive verification of the builder. You could verify its past or current projects or even post queries on the various online real estate forums. BUY VS RENT: Many people buy a property thinking they will use rent to pay EMIs. Experts say it is a wrong approach. Surabhi says, “Do not over-leverage in hope that rental income will pay for the EMI. The rental yield on residential properties is generally only 2-3 per cent.” Moreover, the property may remain vacant for months before you can find a tenant. THE RIGHT PLAN: There are various payment options available in the market such as down-payment plan, flexi-payment plan, construction-linked plan and possession-linked plan. Experts say one must choose carefully, as generally there is a cost for every convenience. For example, in subvention schemes, the price is at least 10 per cent higher than what is charged under regular schemes. Customers must also understand that any late payment or default on the part of the builder in such schemes will impact their credit history. Then, there are guaranteed rental schemes under which the developer either pays you rent for a fixed period during construction or for a certain period after possession. In the first scheme, the buyer gets regular payments from the developer during the construction of the house, which helps him offset a part of EMI or rent costs. In the latter scheme, generally for properties which are outside city limits, the developer offers rental income after possession. But the fine print is that there is no guarantee. CHECK THE INFRASTRUCTURE PLANS: Metro connectivity or any other big infrastructure development in future linked to the location of the property you intend to purchase can boost the return on investment tremendously. Also, ensure that the property is not close to any polluting industry. CHECK THE SITE: The layout in the brochure could be different from the reality. So, do a thorough site visit before booking the property. Interact with people in the neighbourhood as they may know about any illegal occupation or other legal disputes related to the property. REGISTER YOUR PLOT: After selecting the property, you have to register it with the authority concerned for you to become its lawful owner. Surabhi says, “Through registration of sale deed, a person is able to acquire the rights of the property from the date of the execution of the deed.”Last, but not the least, do some research about the developer’s record in terms of total square feet developed, market feedback and project delays. Also, check the quality of its previous projects. Divakar says, “Be sure to search for any contingencies which may hinder the development of the property. For this, you can probably refer to or participate in various online real estate forums. 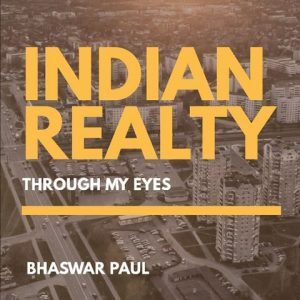 Born in Port Blair, Andaman Nicobar Islands and brought up in New Delhi, Bhaswar Paul is a seasoned Sales, Marketing and Training professional with almost two decades of work experience. He has earned valuable exposure in India and overseas market in Education, IT/ITES Services and Real Estate Industry.